If content is king, video is the crown jewel of the online world. Indeed, one million minutes of video will be shared online every second by 2021, According to Cisco. And by then, 82 percent of all internet traffic will be attributable to video. Since it introduced video functionality, Twitter has become one of the most popular places people to watch, share, and talk about videos online. Since early 2016, tweets with video have increased by over 50 percent. Here’s our guide to using Twitter video to grow and promote your brand. It’s easy to see why video content is so popular. Video can engage, inform, entertain, and generally move people in a way other mediums struggle to. 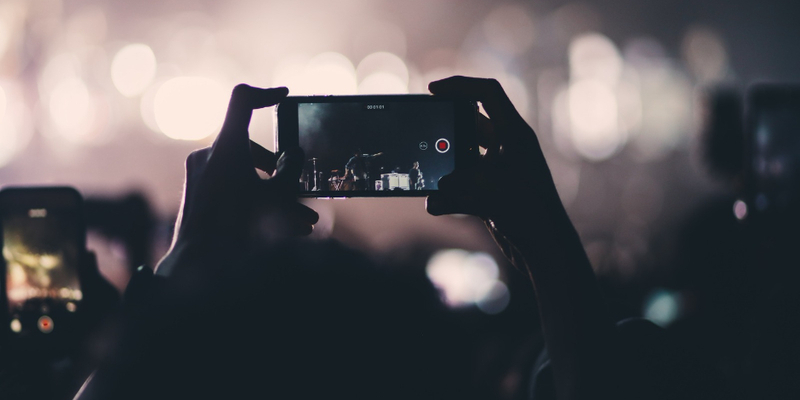 From explainer videos to live streaming and brand stories, marketers have taken to video in a big way—and with great success. Wyzowl’s State of Video Marketing 2017 report found 79 percent of consumers now prefer video to text to learn about a product, and 84 percent have been converted into buyers through a brand video. Ninety-three percent of Twitter video views happen on mobile devices. This makes Twitter video an ideal way to reach consumers on their phones in real-time. A Promoted Twitter video can take consumer action even further. Twitter users who watch a branded video are 28 percent more likely to buy. Twitter videos get six times more retweets than photos, and three times more retweets than GIFs. 37 percent of Twitter users would like to see more Twitter videos from their favorite brands. 41 percent of Twitter users favor Twitter as a way to discover video content. Twitter video will continue to take off as the network develops new features for users and marketers. There are a few different ways to create and share Twitter videos. Use the Twitter app to record videos through your phone camera, and then edit and share them from within the app. Import videos from your phone camera to the Twitter app. Broadcast a live video to your followers using the mobile Twitter app. First View: Grab the most prominent real estate on Twitter—the top of the timeline ad slot—for 24 hours to really make a splash with your Twitter video. Conversational video: Add campaign hashtags and call-to-action buttons to promoted videos to drive conversation and encourage sharing. Instant Unlock Card: Combine conversational videos with a call-to-action that invites people to Tweet your promotional hashtag and message to unlock exclusive video content. Video Website Card: Create a promoted video featuring an auto-playing video, headline, and a URL Twitter users can click to go to your website. In-Stream Video Ads: Show a video ad before, after, or during other videos, including live-streamed video, to target people while they’re already viewing related video content. Each Twitter video type has a its own specs and requirements. Here’s a rundown of must-know Twitter video specs. Select advertisers can post promoted videos up to 10 minutes long. Mobile: MP4 and MOV video formats. Web: MP4 video format, with H264 format with AAC audio. You can upload videos up to 15 MB (sync) / 512 MB (async) within the length limits. Longer promoted videos should ideally be no more than 1GB for optimal performance. Maximum frame rate: 40 fps. From recording a quick video within the app to streaming a live event, here’s a quick guide to how to get started the various Twitter video types. You can even use Hootsuite to schedule tweets with video. Tap the video icon to access video mode. Hold down the record icon to record a video and release to stop recording. To add more to your video, press and hold the record icon again. Drag up video clips to delete part of your video, and edit their order by dragging and moving your video clips sideways. Tap Done when you’re happy with the video. Preview your video by tapping the play button, and do any final edits. Tap Tweet to share your video with a message. Find the video you want to share in your saved videos and select it. Edit the length by dragging the bar at the bottom. Tap Trim to finish your edits. Choose your video and click Open. Make sure it’s the right format. Edit the length of your selected video. Click Done to finish your edits. Click Tweet to share your video with a message. Tap the live video icon. End your live recording by swiping down and tapping End video. In the compose message box, click Attach media. Click Choose files to upload, select the video file and then click Open, or drag and drop a video file from your desktop. Click Post later to schedule a specific time or Autoschedule to let Hootsuite find the perfect time to post your content. You can run Twitter video ad campaigns and promote your video content using Twitter ads. There is a self-serve option, but some of the more advanced options require you to go through an advertising account representative. There are tons of ways to use Twitter video. You might tweet out videos your organization has created, retweet relevant video content your audience would find valuable, or explore ways to share real-time video on Twitter. We can’t turn you into Steven Spielberg, but here are a few ideas and some best practices to help you get the most from Twitter video. Responding to tweets demonstrates that your account is active and engaging with people, which may inspire new people to follow you. Replying to a tweet with a video is a meaningful and creative way to engage with your audience. A video gives you room to surprise, delight, and hopefully inspire retweets. This can be especially useful in a customer service context. Replying to a specific query with a how-to video or live video message is much more engaging than a generic message. Offering your audience the opportunity to ask questions directly via video, shakes up the Wizard-of-Oz-behind-the-curtain vibe and humanizes your brand. Twitter is an excellent place to host these sessions because of the millions of users engaging with the app at any given time. You can even do a live Q&A. Periscope lets anyone broadcast live video on Twitter. You could do this from a fun promotional event or just an average—yet interesting—day at the office. Live videos should feel like a conversation between you and the viewer. For example, if you are a craft brewer you could broadcast the pouring and tasting of the first pint from a new batch of freshly-brewed beer. You can also do live tutorials, broadcast keynote speeches, award presentations, and live-stream other events your audience might find interesting. Create a Twitter video to teach your audience something interesting about your brand or tell them something fascinating about the world. The secret is to be entertaining as well as informative, and captions are an excellent way to reinforce your messages without requiring your audience to listen to audio. General Electric is one of the most prolific Twitter video brands. Promoted Video on Twitter allows you to target specific, engaged consumers. With Twitter’s recent addition of auto-play, all videos automatically begin to play as users scroll through their timelines, encouraging interaction with the video by tap or click. If you are planning a live Twitter video event, use video teasers to promote it in the run-up to the big day. Offering a sneak peek is a great way to generate excitement for your brand. A video that stirs up emotion, fascinates, or leaves the viewer in awe can prompt your audience to share and return for more great content. Food Network Canada is one of many brands using video to both promote themselves and provide interesting and shareable content. You can’t really go wrong if you create something truly entertaining. Old Spice went above and beyond with this hilarious video of a face painting robot. No doubt this video took time, effort, and creativity. Worth it? You decide. And being entertaining can also be profitable, as Doritos UK proved with their video-heavy #BabyDragon Twitter campaign. Discover how #BabyDragon became a mini-celebrity on Twitter – and helped @DoritosUK generate £3M in UK sales. People love to be recognized. Challenge your audience to submit fun videos around a brand-related theme and then reward them with replies and Retweets. A user-generated content campaign can take your social media marketing to the next level. GoPro have an advantage in the video game for obvious reasons. Unsurprisingly, they make full use of user-generated video in their Twitter feed, which in turn encourages more people to tweet them with their own videos. Getting other people to create your content is a winning strategy on many levels. You need to grab people’s attention quickly, especially on Twitter where so much other content is competing for your audience’s attention. The good news is that often viewers only need one second to be able to recall a memorable video. You put so much effort into creating content, it makes sense to get the most value from it. Chop up longer videos into small, standalone vignettes or GIFs to provide more fresh content. Twitter users love sharing short content. People respond to people. Twitter found that viewer retention doubles when people appear in the first few frames of a video. Short, people-focused videos can also help tell your company story and introduce your people to your customers—helping to humanize your brand. Videos with prominent branding in the first few seconds get the most attention, and adding a logo increases purchasing intent by nine percent. News organizations in particular are becoming adept at creating short videos that tell a story well even if the sound is off. The BBC, for example, makes good use of this technique. You can’t beat a live Twitter video to increase brand affinity. It’s a great way to break down the barrier that often exists between customers and businesses. Video is the best way to bring products to life and show them in their natural habitat. Twitter video can help you sell products in a variety of ways—from different uses to how-to explainer videos. Use Hootsuite to easily schedule, publish, and promote your Twitter videos. You can then engage with your followers from the same platform that you manage all your other social channels from. Rob works as a freelance writer. When not kicking around words for web and print he attempts to kick a soccer ball in the right direction.